How to build a perfect PC for FSX and P3D? Look at my suggestions for a dream PC and for a budget version. I started writing about PC configuration for FSX several years ago on CalypteAviation.com (in Polish). This is the second edition of that series in English. I hope it will be as helpful to you as the previous editions were to my Polish readers. Prices I mention are based on U.S. shops when in $ and on German shops when in Euro. Prices in your country may be slightly different depending on local taxes and additional costs. There are PC sets in this article – “dream PC”, “dream PC revised” and “budget PC”. There is a very slight difference between the first two in terms of performance in FSX and P3D. This is something that I would build if I was not traveling and spending money on my photo equipment. This PC is not cheap but in my opinion, it has a very good performance to price ratio (in FSX). It is even better if you use P3D and other modern games of different genres. About 50% cheaper and still should give you a decent framerates and quality in FSX. My general rule in building PCs for FSX is to use the “second best” in every field. Usually, it is significantly cheaper than the latest product. Sometimes (like here) I use “third best” component. My aim was to build this PC at around $1000. Important note. I am building the best PC for FSX and P3D. If you intend to use some other software that will perform better with Hyper-Threading technology – you should consider a lower tier i7 CPU. For FSX (and generally for P3D) i5 should give you a better performance compared to i7 in the same price range. I went over my $1000 limit due to the GPU. To stay within this limit – take GTX 1050 – that will save you around 80-100 Euro or Dollars. Both calculations are based on listed prices of individual components. Contact your local computer store for a better deal. Based on the experience of my readers – the price for the whole PC may ba 10-20% lower. Graphics – you can save a lot by choosing GTX 1050 (roughly comparable with GTX 970) or GTX 1060 (slightly worse than the old 980). Memory – at current prices I advice against any savings here. Power supply – I calculated a strong power units for both PCs. Usually you can go a little lower in terms of Wattage. You can also pick a cheaper power supply unit. Be aware that this can cause unstable performance and crashes when your power supply unit gets overloaded. Cooling. You can save a few bucks on radiator and 12cm fan. With water cooling you have vast choice of options so take what you can afford but keep in mind that you need your CPU to run at proper temperatures. Case – usually you pay for what you see. If you do not need great looks – simply take something with good ventilation. More savings? Using second-hand parts? For years I have been buying parts for my PC and my cameras on eBay and I never had any problems with second-hand devices. But others had! What should you buy on eBay and what should you stay away from? There is some risk in buying “easily-breakable” parts like OC (overclocked) CPUs and GPUs. When you have no idea how they were treated – you may expect all the problems associated with heat damage or over-voltage damage. 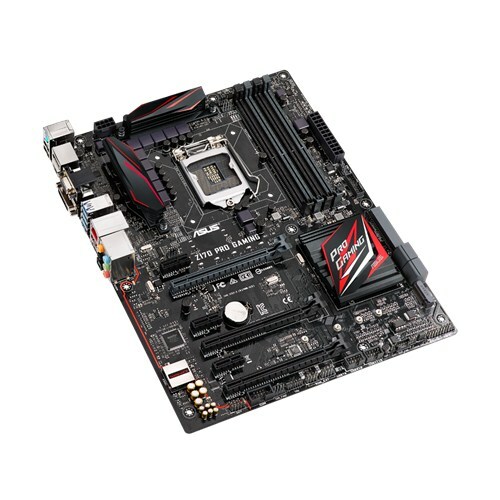 Having said that – I use a gaming Mobo and I used overclocked GPU for some time. I bought both on eBay or a similar site. And they worked beautifully. Mobo still works beautifully. GPU not so much (I probably overheated it). So, when you have a choice of buying the better device or a cheaper but new… I would seriously consider looking on eBay. Something a little more expensive? If you want to build a better PC than what I suggested earlier – use a batter GPU. I suggested GTX 1080 and GTX 1060. You can add a second 1080 and connect them with SLI in the hi-end setup. In the case of 1060, I suggest switching to 1070. 1080 seems to be an overkill for FSX running on i5 CPU but you can consider it if you use P3D or any other GPU dependent games. If you intend to do some serious experiments with overclocking (meaning – if you want to overclock to values higher than I mentioned earlier) – consider a better cooling, a better motherboard, and a better power supply. FSX and P3D use CPU speed. The faster it runs – the better performance you get in your sim. Do not even think about running your CPU at factory settings, but keep in mind that you need better cooling to run it safely at higher speeds. In modern motherboards and CPUs, basic overclocking can be done with software provided with the motherboard or through EUFI/BIOS. I will never be perfect. You can always run into trouble with advanced planes and sceneries – no matter how good your equipment is. You will experience problems, but a proper configuration and a good PC can solve some of them. Please make sure that your config is ok and that your PC can run FSX with add-ons before complaining about performance on forums and in FB groups. Dovetail Games team is working on their new Flight Simulator (64-bit). P3D v4 is supposed to be 64-bit too. That means a better use of memory. The new sim will not be limited to 4GB of VAS (addressing space) as FSX and the current P3D are. That means that the memory of your GPU will finally be utilized to the full extent. So – the more you have, the better.